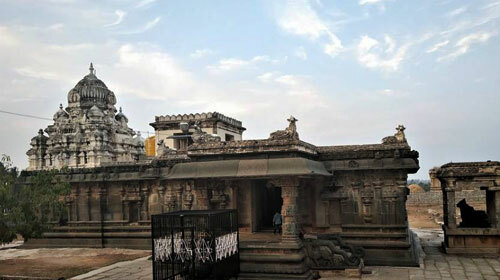 The Someshwara temple built in the 11th century is located in the town of Kolar Karnataka. This ancient temple is dedicated to Lord Shiva who is also called Someshwara. From the mammoth gopuram to the sanctum of the deity every nook and corner is a proof of the architectural style of the Dravidian rulers. This temple was built by the Cholas and was expanded in size by the Chalukyas. The temple is famed for its beautiful work in architecture and art. The temple was initially built by the Cholas in the 11th century and was upgraded by many other kingdoms that came of power. They all added their artistic touch to this temple and providing the world an example of the unique techniquues of Dravidian architecture. Maha Shivarathiri is the main festival celebrated here. Other festivals include Brahmotsava, Ugadi and Karthik Poornima.